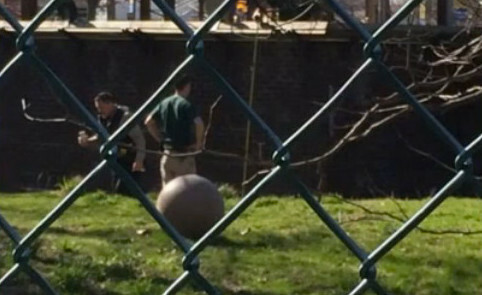 A two-year-old was dropped into a live cheetah exhibit at the Cleveland Metropark Zoo. Now his mother is charged with child endangerment. The incident occurred after witnesses say they saw 38-year-old Michelle Schwab hold her child over the rail. At some point, Schwab seem to have lost control and her son dropped 10 feet. Schwab and her husband, who has not been charged, were both on-site and reportedly ran down to retrieve the toddler. There were two 4-year-old male animals inside the enclosure area but they did not attempt to harm the child or his parents. The toddler suffered a leg injury and is in stable condition. Schwab isn’t only in trouble with the law, she’s also being investigated by the day care center where she is employed as assistant director. The Sawmill Road KinderCare’s communications director, Colleen Moran, told WKYC that Schwab, “Will remain out of the center while the issue is investigated and addressed.” Moran went on to say that although the incident did not happen on their watch, the organization continues to monitor the treatment of all children by staff at all times. WARNING: Don’t Let Your Kids Eat This! !